Worried about the new health care legislation? 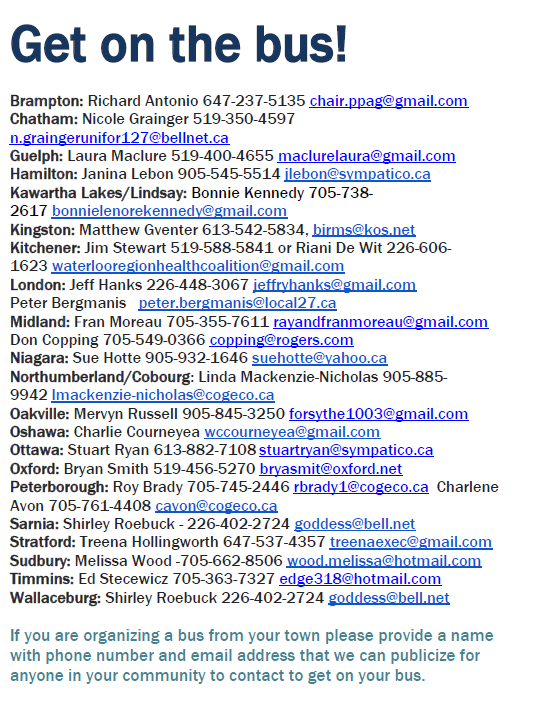 Want to protect our public health? 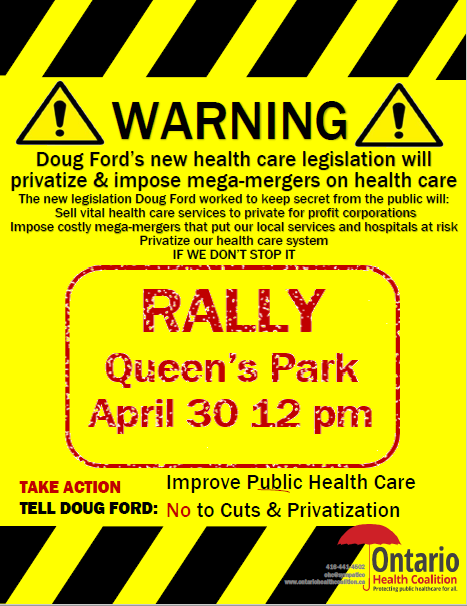 Join us at Queen’s Park on April 30 at 12 pm for a rally to improve public health care!